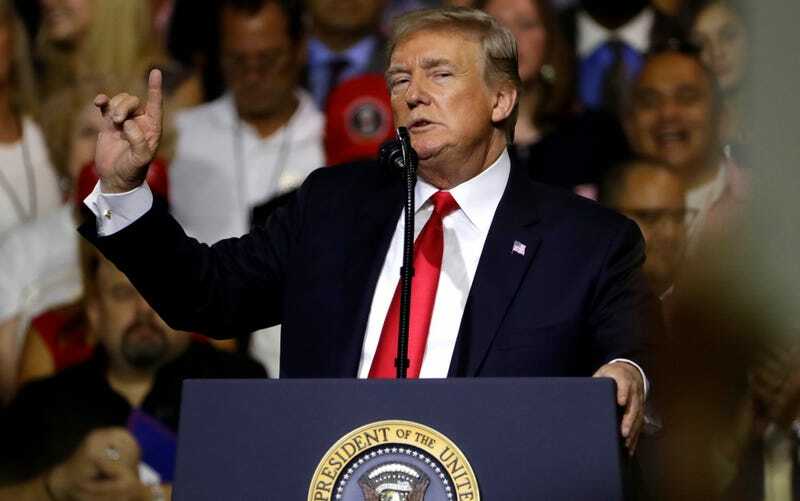 At a rally in Tampa, Florida on Tuesday, Donald Trump, an expired produce aisle and also United States President, incorrectly asserted that Americans need photo IDs in order to buy groceries. Are we surprised the president got this one wrong? No, just horrified, maybe a little smug if you give it a minute. I mean, can you imagine Trump pushing a shopping cart down an aisle, reaching out with his tiny, bloodless hands for a box of Frosted Flakes, then some raw steaks to eat with the Frosted Flakes? After all, this is a man who probably thinks everyone uses a large adult son to flush the toilet for them. Well, Mr. President it is simply not the case, you are out on this limb all alone. Here, in reality, we teach our pets to flush our toilets for us.